Q.1 From a pack of 52 cards two cards are drawn at random one after another, what is the probability that the first card is king of spade and another card is diamond? Q.2 In a simultaneous thrown of two dice. What is the probability of getting a total of either 9 or 10? Q.3 In a beg there are 5 blue, 3 green and 7 pink balls. 2 balls are drawn at random. What is probability thal one is blue and second is pink? Q.4 4 apples and 5 mangoes are kept in a box. If 3 fruits are choosen at random, What is the probability that at least one is mango? 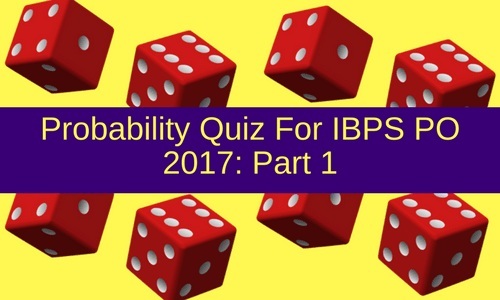 Q.5 What is the probability of getting the total of at least 8 when two dice are thrown?